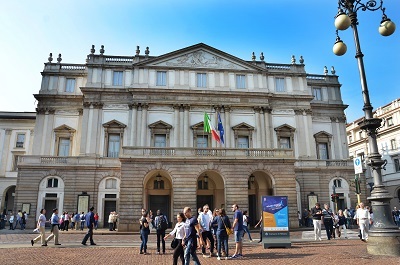 Book your entrance time and discover the masterpieces of great artists! An extraordinary opening that brings us closer to the life of the great Da Vinci! 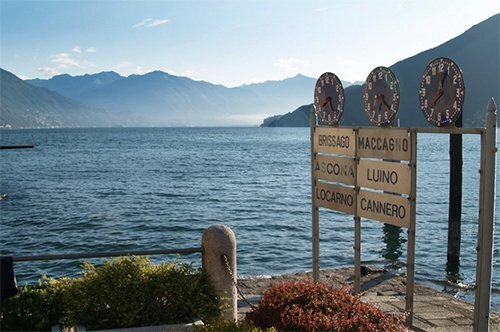 Book now your visit with audio guide to the Leonardo’s Vineyard. 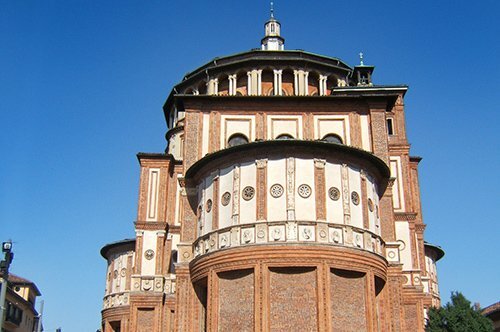 Santa Maria delle Grazie is an example of a Renaissance Basilica, one of the most beautiful churches of Milan. 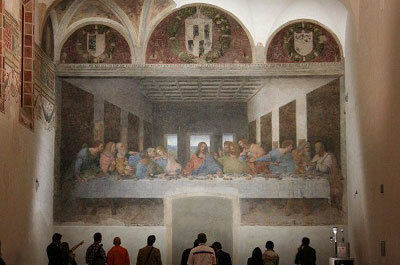 Each year attracts thousands of tourists thanks to the wonderful fresco of Da Vinci the "Last Supper" preserved in the adjacent refectory. In the refectory of the Dominican convent, the great Leonardo da Vinci created one of his most famous artworks: The Last Supper. 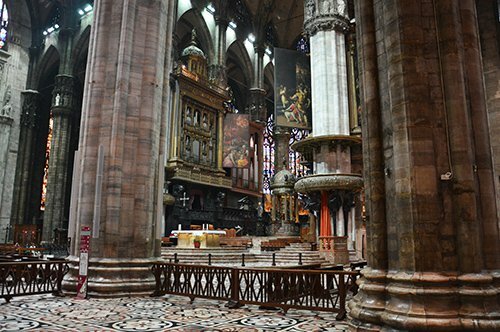 In order to preserve this work of art the access allows only a few visitors at the time, so it is really hard to find a ticket to book! 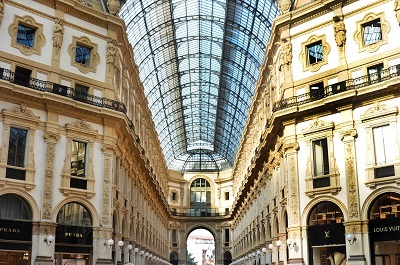 For shopping lovers the Galleria Vittorio Emanuele II is a destination not to be missed. A commercial gallery full of shops and stores that will put a strain on your wallet! 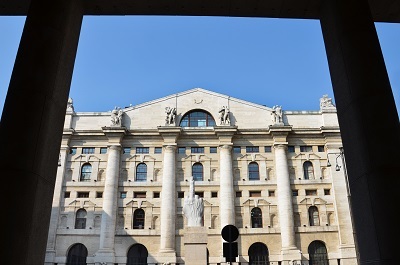 The Palazzo Mezzanotte headquarter, houses the Milan Stock Exchange, Piazza Affari is also famous for the Cattelan statue "L.O.V.E." that at first glance gives the impression of being a giant middle finger facing the headquarters of high finance. 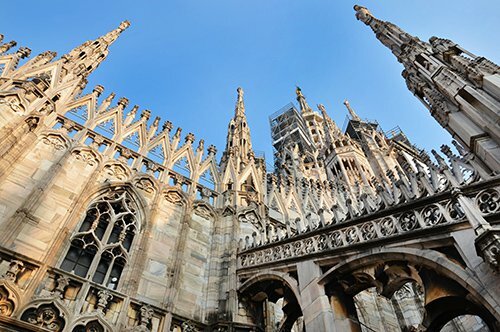 In the central square of Milan there is the impressive “Duomo”. 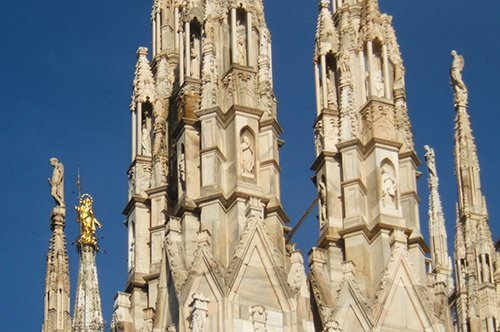 With its majestic spiers and statues, proudly overlooks the city. 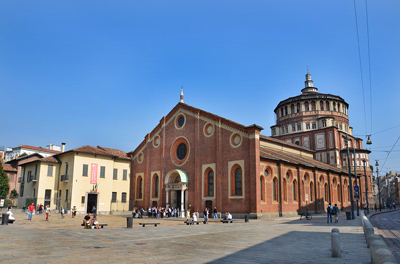 The Sforza Castle is one of the symbols of Milan. 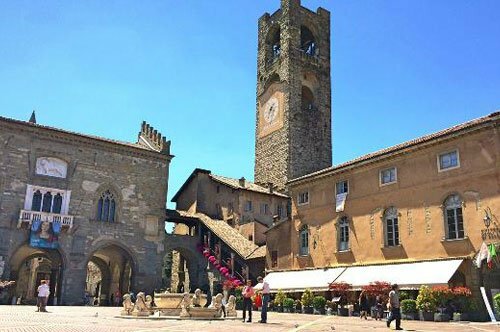 Built in the fifteenth century, it is one of the largest castles in Europe. 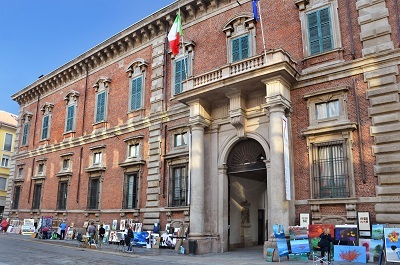 The Pinacoteca di Brera is an art gallery that houses masterpieces of great artists such as Caravaggio, Mantegna and Bellini. 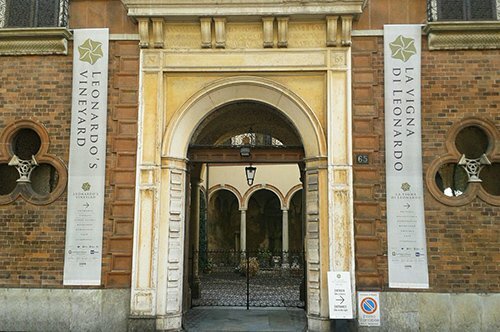 One step away from the "Last Supper" is the Leonardo’s Vineyard, a gift that Ludovico il Moro gave Leonardo da Vinci as a gratitude sign for the artworks carried out under his Duchy. 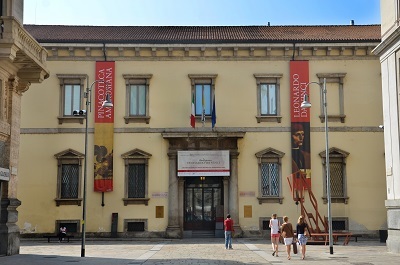 The Pinacoteca Ambrosiana collects paintings, reproductions and studies of numerous artists. 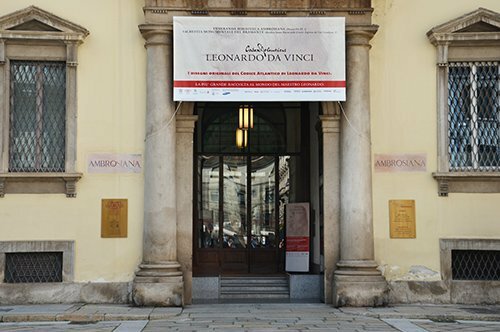 One of the most important collections is the Codex Atlanticus by Leonardo da Vinci, around 1119 pages of drawings and writings by the great artist. One of the finest museums dedicated to a theater. 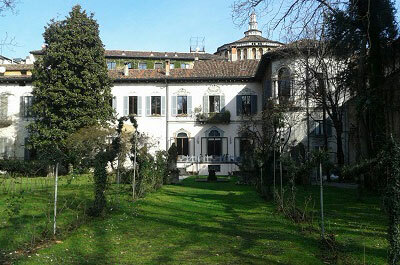 Inside you can find musical instruments, ancient costumes, portraits, letters of composers, and much more! 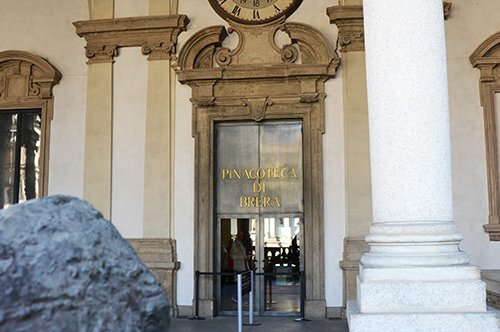 How long should I stay in Milan? 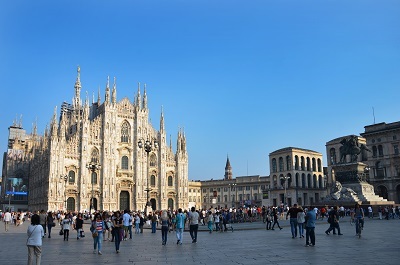 To visit the main sites of the city considered a stay in Milan of at least 2 days. 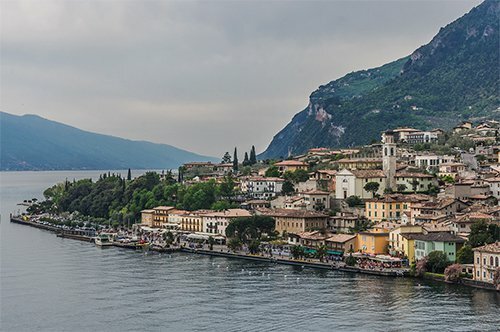 If you wish to discover the most hidden places and visit its surroundings, then stay in the city at least 4 days. 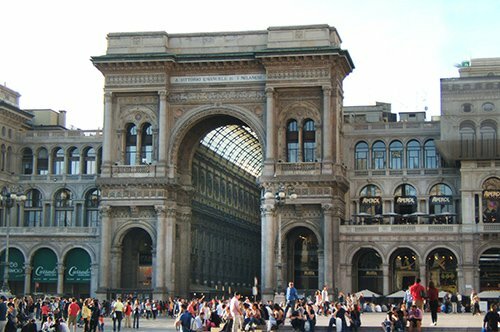 Visiting Milan by public transport is very simple, in fact all, major attractions can be reached by subway. 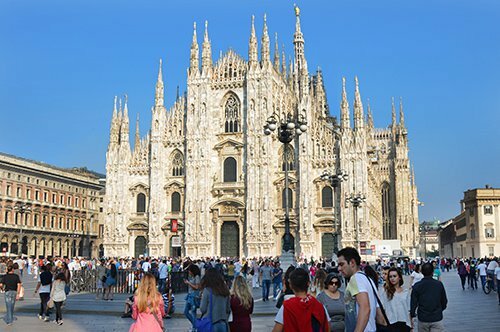 In addition to the most popular places, what can I visit in Milan? 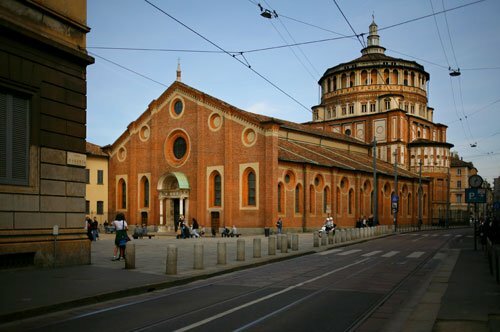 Absolutely not to be miss the church of Santa Maria at San Satiro, it offer an unusual perspective game, and the church of San Maurizio at the Monastero Maggiore, well known as the 'Sistine Chapel' of Milan. With a City Walking Tour you can also find traces of the Second World War, as punched streetlights, shelters and hidden signs.